Tips on How to Give the Best Maid of Honor Speech Ever! 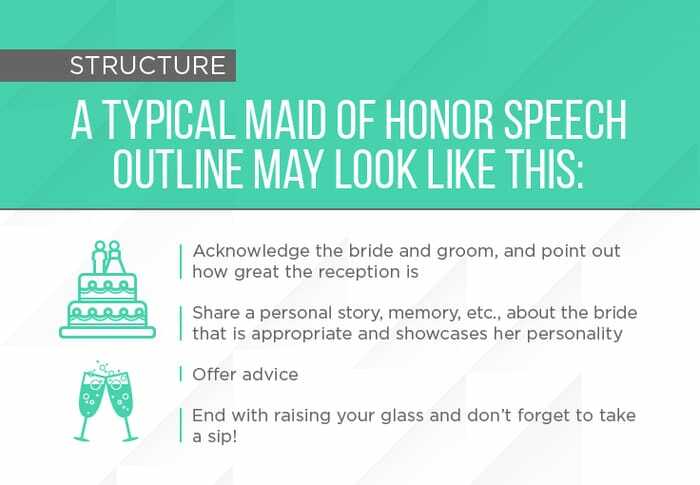 Whether you take the traditional speech route or drop a new beat like the maid of honor speech example above, one of the most important tasks assigned to a maid of honor is giving a speech at the wedding reception. 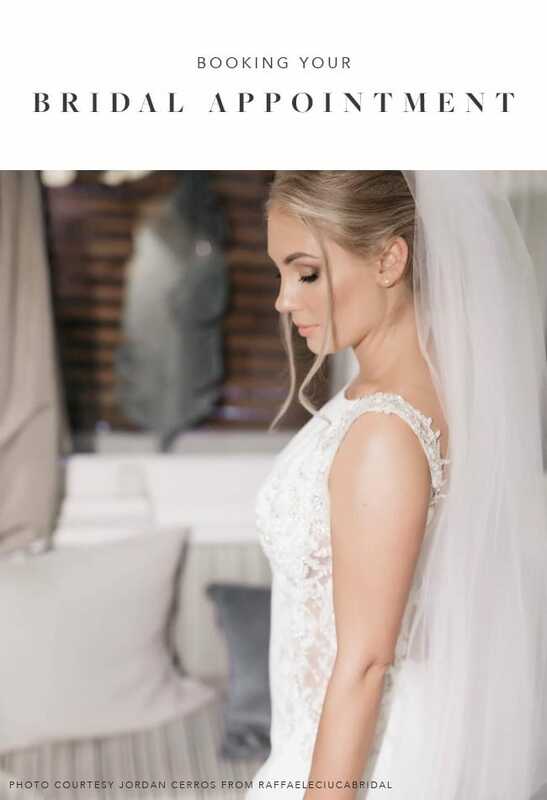 As a close friend of the bride, this should be a fun and exciting opportunity for you to showcase how wonderful both the bride and couple are, as well as wish them the best in married life. Treat the speech like a maid-of-honor “gift” that the bride will always remember. Although this is a big responsibility, don’t let the pressure get to you! 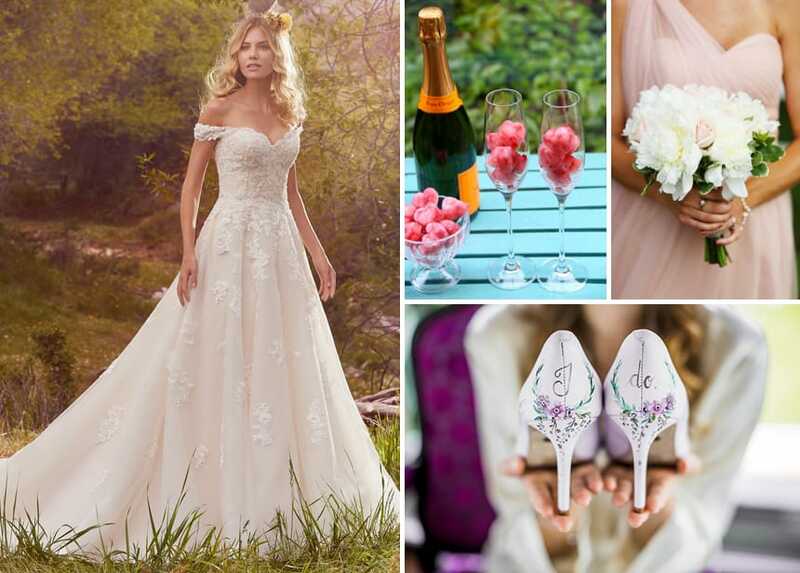 Instead, get ready to grab the microphone and a glass of champagne with confidence as we provide helpful tips to keep in mind while writing and presenting your perfect maid of honor speech. Overall, your wedding speech should start with the bride and end on the couple. 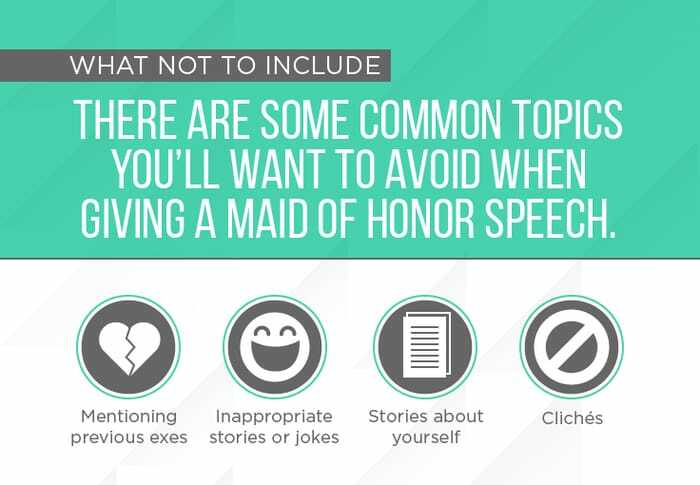 There are various maid of honor speech examples on the web, so do some research if you’re struggling with writer’s block. As for length, aim for short and sweet (2-5 minutes) so you’re not encroaching on other speeches. When should you start writing the speech? Typically, plan to write your speech a month to three weeks before the wedding and practice your speech out loud often. If you need notes to help guide your speech, work on creating those weeks in advance so you’ll have plenty of time to practice. Remember, it’s not customary to memorize the speech. In addition, don’t be afraid to practice in front of an audience and be sure to ask for feedback. You don’t want to bore the audience with dictionary definitions or bland, drawn out quotes. Instead, share a story, experience, or memory about the bride and yourself that is appropriate for a wedding reception. Adding a story is a great way to capture the audience’s attention and make your speech memorable overall. Just make sure the story keeps the bride as the main focus and not yourself. A good maid of honor speech example would be a memory showing how excited the bride was after the first date with the groom, or when and how you became friends with the bride. Work to paint a picture for the audience. Ultimately, use your best judgment and keep the wedding audience and wedding couple in mind when scripting your wedding speech. Staying away from these topics will reduce potential awkward moments for you, the bride or the wedding guests. Most importantly, your speech should be as unique as you are. No one wants to hear you recite a long and drawn out speech that you clearly didn’t write. If you’re funny, don’t be afraid to add humor. If you can tell a good story, include one of the couple! Just don’t be something you’re not when it comes to speech giving, because it will show. People will love and remember your speech when they know it’s coming from you. Again, look at maid of honor speech examples to see how people made their speeches unique and special. Last writing tip: Don’t forget about the groom! Whether it’s mentioning how he’ll make the bride happy or a little anecdote that showcases his thoughtfulness, don’t leave out the other guest of honor. Once you have your amazing speech down, here are some helpful tips to keep in mind on the actual wedding day. • Stand nice and tall and don’t lock your knees when speaking. You’re welcome to use your notes as a crutch, but don’t forget to look at the audience. Find and look at your friends and family if that helps keep you calm. Whether you get nervous or not, and no matter how much you practice, plan on speaking more slowly than you normally speak and enunciate your words. Also, even though you have a microphone, speak with a loud, confident voice and don’t forget to smile! If your speech takes an emotional turn, that’s okay! Don’t apologize for letting a few tears loose, it goes to show how great of a couple they are and the impact they have in your and the audience’s lives. You’ve got this! You’ve already overseen wedding-dress shopping and the bridal shower, so be confident in all your hard work and preparation. Ultimately, the most important thing is to stay calm and collected when you give your speech. Lastly, plan with the bride to know when you’re scheduled to speak. Though toasts usually happen once everyone has been seated and served champagne, it could also happen between courses. Typically, the best man is the toastmaster and starts the round of toasts by warming up the crowd; but, you might go before the best man or do a joint toast. 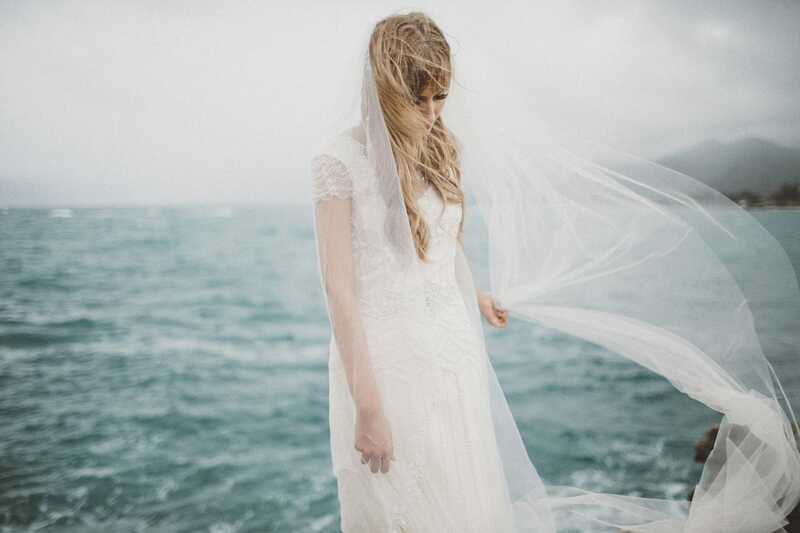 Do whatever feels most comfortable for you and the bride. The bottom line: take your speaking duties seriously and work hard to create a memorable speech that best showcases the bride and couple on their special day. The bride already trusts and respects you enough to give you this special honor. Follow these tips and you’ll add your own unique touch to their celebration!